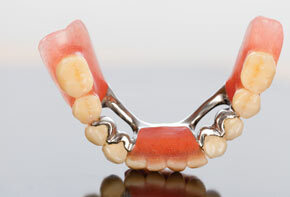 Complete dentures (to address problems of all missing teeth in either the lower or the upper jaw, or both). 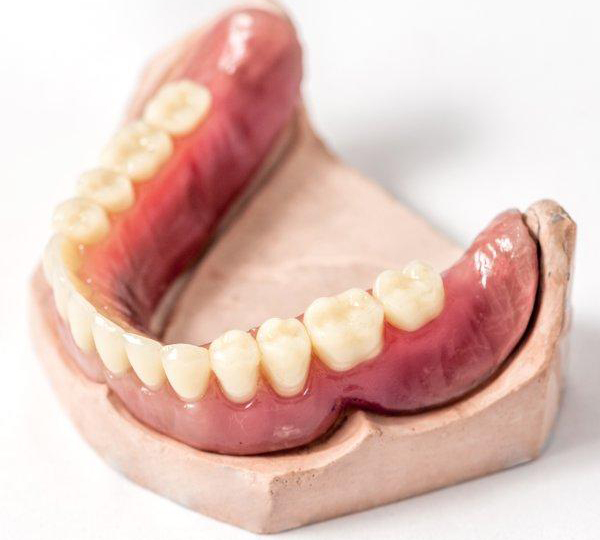 You are welcome to come and visit us to see the various dentures samples that we offer, and it will be our pleasure to answer any questions that you may have to help you decide on having dentures for your missing teeth problems. What is Involved in Dentures? 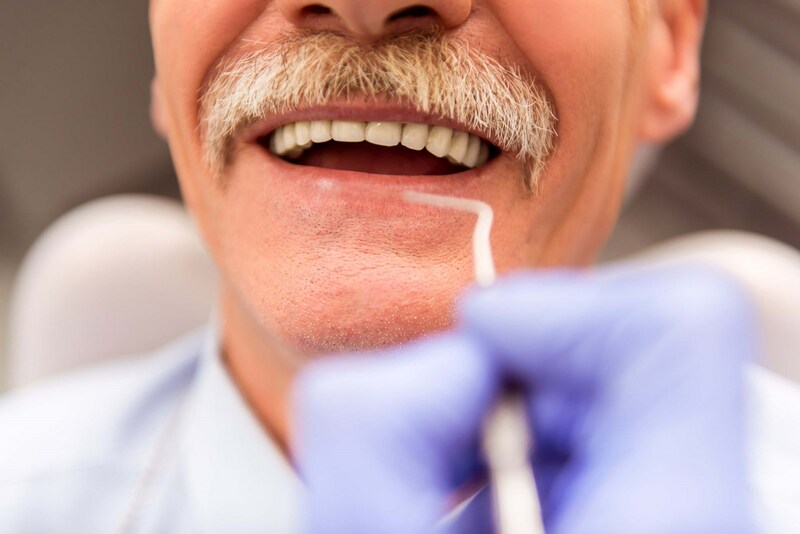 After determining the type of dentures needed (partial or complete), measurements of the jaw will be taken to help in the creation of the dentures. Impressions of the jaw and of the remaining teeth (if applicable) will also be obtained. This model will need to be tried on to determine the perfect fit, and also to check if any other adjustments are needed. The final set of dentures will be created in a laboratory, and then tried on by the patient to check for proper fit. The necessary adjustments can then be made to ensure that the wearer will be as comfortable as possible while using the false teeth. Partial dentures are used to replace a few missing teeth, and are anchored to existing natural teeth on both sides of the space caused by tooth loss. The partial dentures not only replace the form and function of missing teeth – they also ensure that the remaining natural teeth do not move unnecessarily into less desired positions. Complete dentures, on the other hand, are used to replace the form and function of missing teeth in either the upper or the lower arch, or both. Conventional dentures involve a healing period after the teeth have been extracted, during which the gums are allowed to heal for a few weeks before the dentures are placed. Immediate dentures, on the other hand, can be placed immediately after teeth are extracted, with no healing period in between. Dentures are for those who have missing teeth, who want to restore both the form and the function of their smiles and good oral health. Aesthetic improvement – the appearance of the smile is greatly improved with the help of dentures, which replace the presence of natural teeth that have been lost. Unsightly gaps or spaces are filled out once more with the prosthetic teeth, making the smile look healthy and complete again. Improved speech – speaking clearly is a challenge to manage with missing teeth; consonants are hard to pronounce, and a lisp is commonly developed by those who suffer from tooth loss (especially if the missing teeth are located in the front area of the mouth). Dentures work by replacing the function of the lost natural teeth, allowing the wearer to speak clearly without difficulties. Improved function – chewing and biting on food can be extremely difficult and painful to do without teeth. Dentures enable the wearer to eat and chew on food properly again without experiencing discomfort.